Druv Kent | OK Listen! 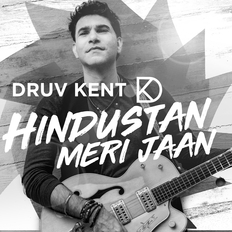 Druv Kent is a singer-songwriter-storyteller-indie musician based between Singapore, the UK, and the country of his birth, India. He’s the 1stAsia-based musician to have his music supported in two decades by the UK’s BBC Radio 2, the world’s premier radio station for contemporary pop/rock. Druv’s 2015 entry to international music received popular and critical acclaim in the UK, Singapore, Australia and India with several singles playlisted, including BBC Radio 2. Druv’s music is earthy, organic, lyrically rich, its folk-pop soundscape blended with the musical fuel of his Indian heritage. Druv’s UK producers shaped the sounds of John Mayer, Ronan Keating, Radiohead and Oasis. His current Swedish producers worked with the Backstreet Boys and The Corrs. He’s co-writing in Nashville with the producers of Huey Lewis and Chrissie Hynde. Druv has sung in Hindi for Bollywood film, Alaap, and is composing Hindi music for film projects in India, and working on releasing independent songs in Hindi as well. Druv plays live in the UK, India, Dubai, HK and has sold out Singapore’s Esplanade Recital Studio, Gardens By The Bay, Victoria Theatre, and was a featured artist playing live at the recent Asia Television Awards. Druv also appeared with the Shillong Chamber Choir at the Esplanade Theatre.